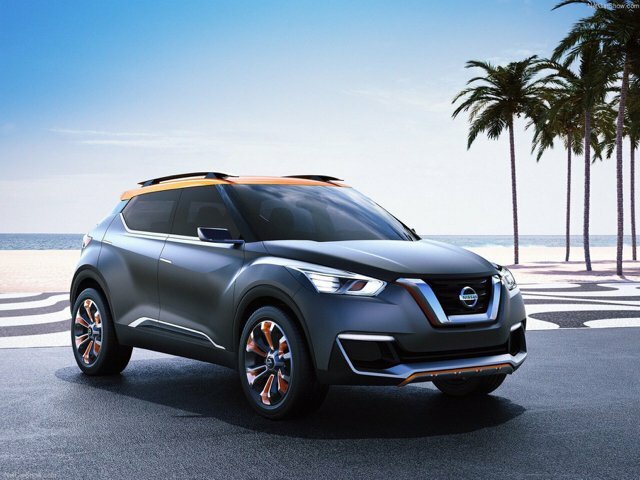 "Nissan's global leadership in the crossover segment will be further strengthened by the arrival of the all-new Nissan Kicks. 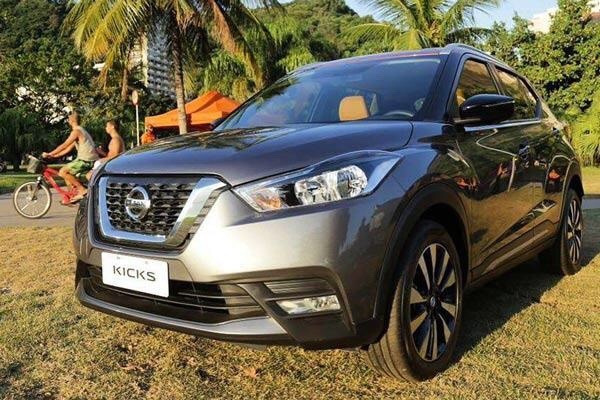 The production Nissan Kicks retains the basic design cues taken from the Kicks Concept - first shown at the Sao Paulo Motor Show in 2014 - and is a stylish crossover built for busy city-dwellers to tackle everything the city can throw at it. 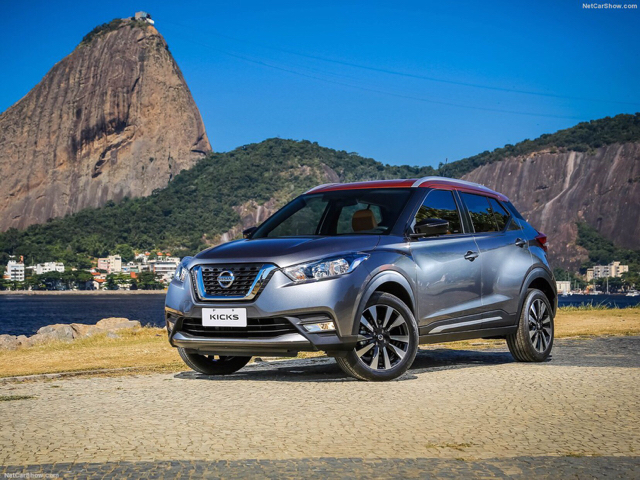 To meet initial Brazilian demand, Kicks will be produced at Nissan's benchmark plant in Aguascalientes, Mexico. 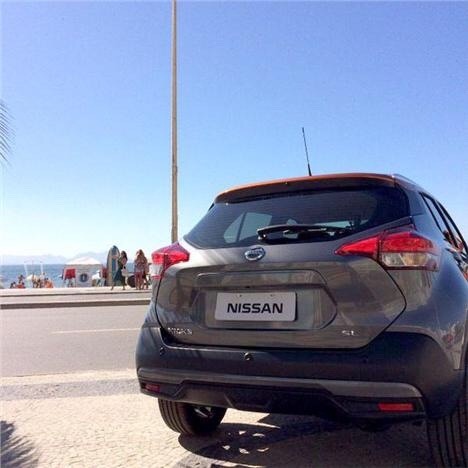 Ramp-up to full production will start within FY16 at the Nissan facility in Resende, Rio de Janeiro - the site of a $192 million (R$750 million) investment to prepare for Kicks. 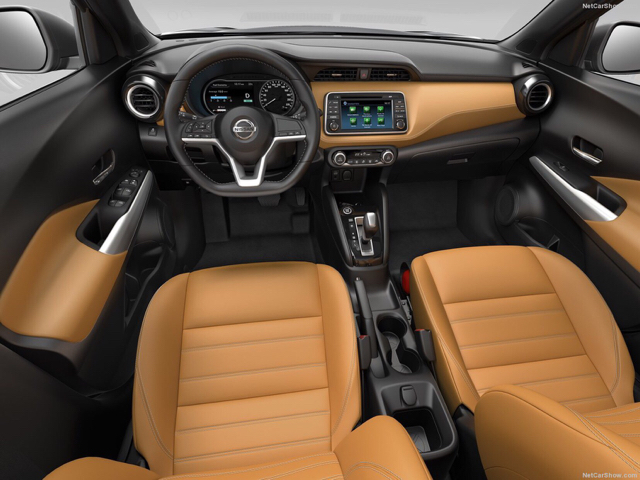 Nissan Kicks features established design signatures, such as Nissan's V-motion grille, boomerang head and taillights, and the floating roof with a "wrap-around visor" look to the windscreen and side glass. During the engineering process, much attention was paid to the car's overall aerodynamic performance - not only to benefit its dynamic performance, but also its overall refinement by reducing wind noise. Inside, the story is one of quality and futuristic design in a cabin full of innovative features expected by a target audience who are technology hungry. The interior promises best in class passenger space in the rear - despite the coupé-like roofline - as well as one of the largest load areas in its class. 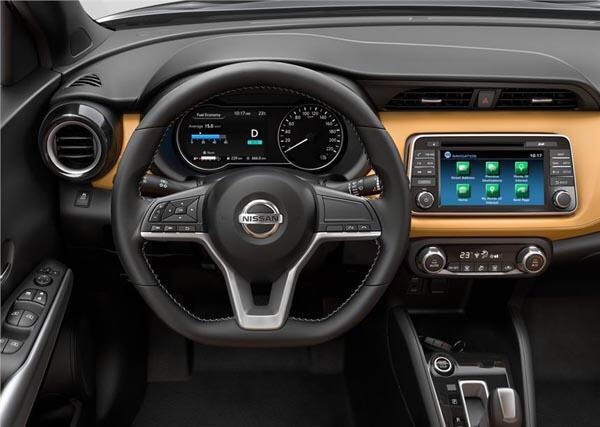 Front seat occupants face the latest version of Nissan's modern and simple Gliding Wing dashboard design, which is dominated by a centrally mounted seven-inch full color display housing a comprehensive infotainment system with Smartphone connectivity. 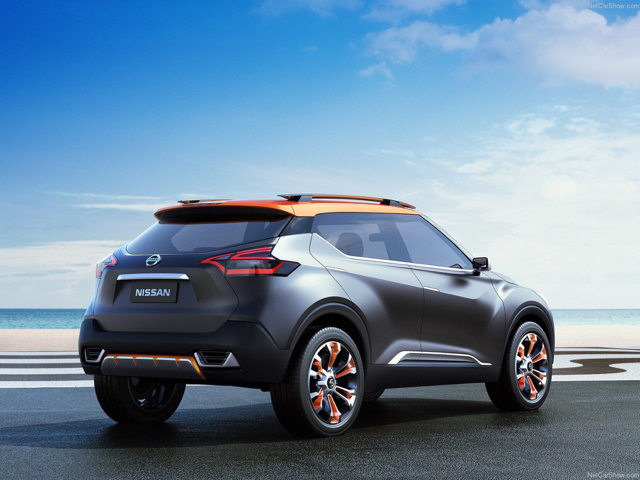 Among the other technology on-board, Nissan Kicks will feature Around View Monitor and Moving Object Detection, which use four on-board cameras to present a view of the car and to warn the driver of any unseen hazards. This is a segment first in the region and, taken together, offers a step on the road to Nissan Intelligent Mobility. A sporting flavor is provided by the flat-bottom steering wheel, while the crossover stance provides a high eye point to give the driver an empowering viewpoint of the road ahead. "With Kicks, we have developed a compact crossover in the best Nissan tradition, and thanks to the unmatched experience, we have in creating vehicles to meet the needs of car-buyers around the world," said Keno Kato, corporate vice president, Product Planning, Nissan Motor Co., Ltd. "Kicks will offer best-in-class design, convenience and technological innovation. And, it will demonstrate Nissan's commitment to Nissan Intelligent Mobility. Kicks is a car to confidently take on the city." 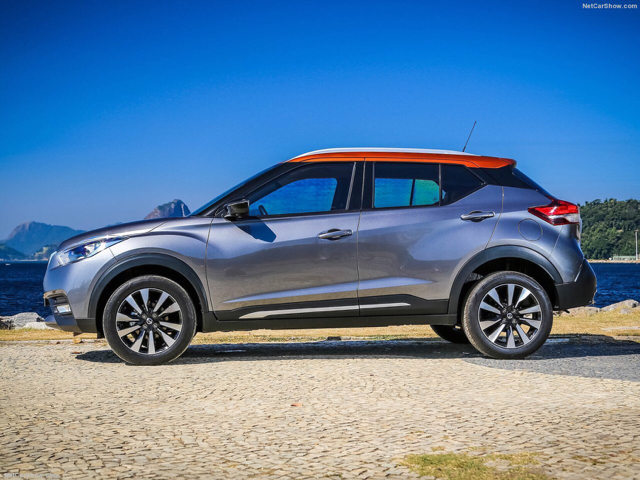 Nissan Kicks sales will begin first in Brazil in August 2016, followed by Latin American left-hand drive markets later in fiscal year 2016. And ultimately, it will be introduced in more than 80 global markets." This looks quite good. It looks a lot better than the Juke. yah looks like a cross between a quashquai(most styling) and juke (size) thats assuming its priced in the juke bracket. juke is still the fugliest car out there.. I won't be surprised if they drop the juke in favour of this.. wonder if this was a decision made by marketing & strat.. create a new brand vs drastic change of shape.. they went new. Copy of Merc G series? Is that a touchpad on the steering wheel? Hmmm... looks nice but all these compact crossovers are starting to look distinctly similar. This looks suspiciously like a flavour of the Kadjar which isn't surprising considering the Nissan/Renault alliance. I guess it all comes down to the particular package of gadgets/service plan/warranty/engine when you make a choice. should have let it be a Datsun suv, it does look more inclined to the Datsun looks, it could have done a lot to lift up the Datsun brand. Not bad, 1.5 or 2.0 ltr diesel and it'll be a hit. It's *way* to early to speculate price. This car was just announced yesterday. It's a "world car" but will be 1st introduced to Latin America & roll out over many months.Reports say it will hit SA in 2018-side. 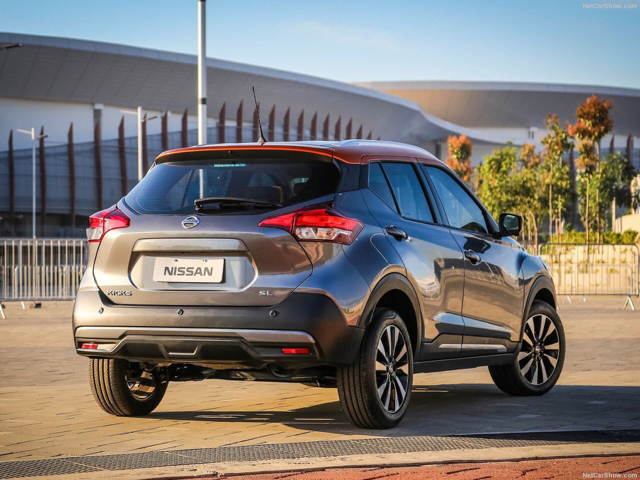 "Nissan South Africa says that it has been confirmed as one of the markets for the new crossover. The "funky little crossover" will slot below the popular Juke, the automaker said. No launch dates have been confirmed yet. Left-hand drive versions will arrive in 2017 and right-hand drive models in 2018. Ultimately, it will be introduced in more than 80 global markets." However, it will by no doubt kick RS. I see it's the "official car" for the 2016 Rio Olympics.